José Mateo Ballet Theatre's production of "The Nutcracker" is back on stage in Boston, and as part of the company's 30th anniversary, it features a new venue, new costumes, and new sets. The story follows a little girl named Clara whose Christmas toy, the nutcracker, comes to life. "She is a dreamer of sorts. And of course has fantasies of some faraway place," said artistic director José Mateo. Mateo has taken this traditional ballet and turned it into a jubilant production, one with a focus on choreography and Tchaikovsky's score. "The music is really what makes the ballet so wonderful," Mateo said. "I like to think people walk out of the theater with a sense of the exuberance of this score, which is to me more important than the theatrics you can bring to it." The company is celebrating its 30th anniversary season by returning to the Cutler Majestic Theatre for the first time in 15 years. "We've spent a lot more time on detail," said dancer Spencer Keith. "The steps of what he's looking for, lines, where we look, every little detail, every second is so important." "This year, we have new sets and some costumes, so that'll be exciting, too," said dancer Angie DeWolf. After the Majestic, the company extends its run at the Strand Theatre in Dorchester, another chance for families to enjoy the ballet, whether it's for the first time or fifth. "You can't have Christmas without nutcracker," Keith said. 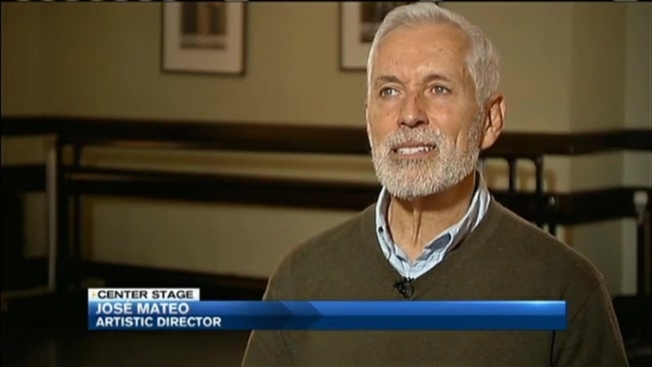 "The Nutcracker is at the Cutler Majestic Theatre through Sunday. It then runs from December 11th to December 20th at the Strand Theatre.Tickets start at $20.